Many times children have accidents and parents may believe they are fine because there is no external evidence. As the school year continues and children again become involved in a variety of activities, the likelihood of injuries and accidents increases, as well. Recent research suggests that high school athletes will suffer one million sports-related injuries and that more than a quarter of a million children are injured on playgrounds each year. Sometimes parents may not be aware an accident or injury has occurred. Obviously parents cannot protect children from all accidents but they can help by making sure problems are being detected as early as possible. 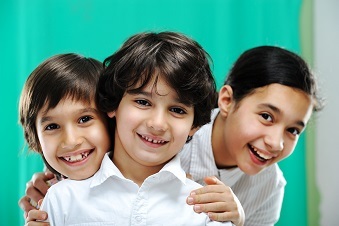 Regular chiropractic care is an important health step to ensure a healthy future for children. Many times children have accidents and parents may believe they are fine because there is no external evidence. However, spinal problems are one of the most overlooked areas of injuries. Spinal misalignments (sub­ luxations) sometimes don’t signal an obvious symptom. However, injury can result in a misalignment of spinal vertebrae, blocking the natural flow of life to any part of the body. By having a child’s spine checked, parents are essentially giving the child the gift of life.